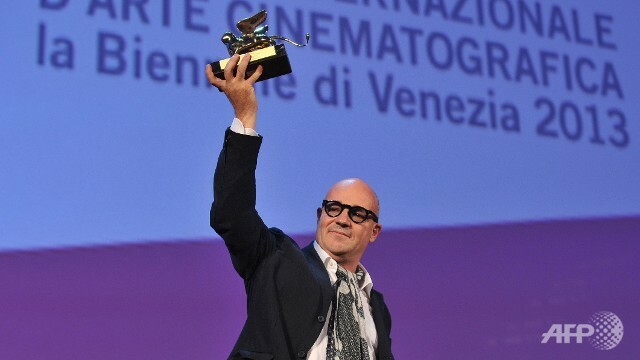 Sacro GRA, a documentary about life on Roman highway by director Gianfranco Rosi, won the Golden Lion for best film at the world’s oldest film festival in Venice Saturday. It was the first time an Italian film has won there in 15 years and the first documentary to ever win the Golden Lion. The Silver Lion for best director went to Alexandros Avranas for his nightmarish family dysfunction drama, Miss Violence; Themis Panou won the best actor prize for his leading role in the same film. The newly-created jury prize went to Tsai Ming-liang‘s Stray Dogs, about a father and two children living on the margins of modern-day Taipei. Elena Cotta won best actress for her role in Emma Dante‘s A Street in Palermo, about two women who reach a standoff when their cars come grill-to-grill in a narrow Sicilian street. Philip Groening was given the Special Jury Prize for The Police Officer’s Wife, the film about violence between husband and wife and a mother’s efforts to protect their child’s innocence. Other winners included Tye Sheridan, 16, who won the best young actor award for his role opposite Nicolas Cage in David Gordon Green‘s Joe and Steve Coogan‘s work on the screenplay for Philomena. Italian filmmaker Bernardo Bertolucci headed the nine-member jury that screened 20 movies in competition. Check out the trailers where available.